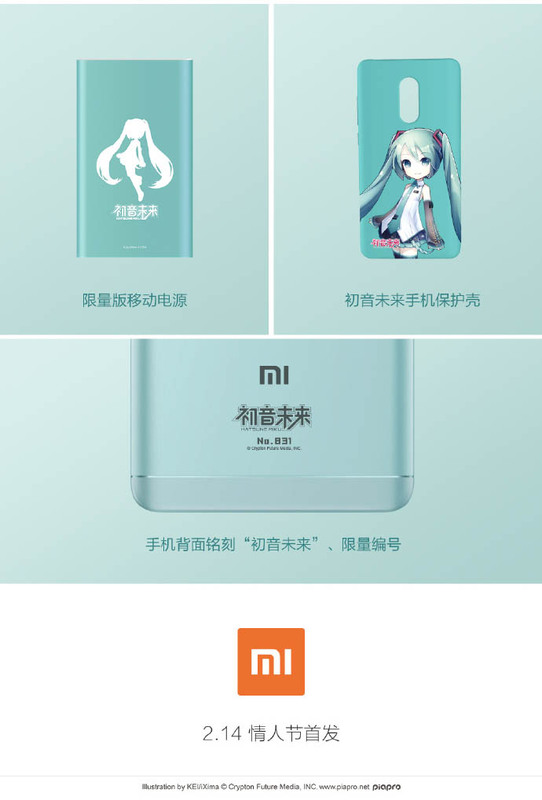 The world renowned virtual idol Hatsune Miku is making her way to the smartphone market once more, as Xiaomi has officially announced the Xiaomi Redmi Note 4X Hatsune Miku limited edition as of today. Not much is known of the phone for the time being, but here’s what we know so far. 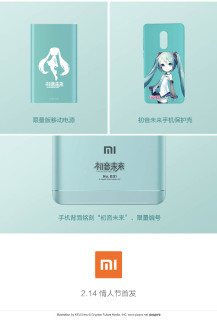 The phone bears a striking similar appearance with its predecessor, Xiaomi Redmi Note 4, and comes in a beautiful teal color design with Hatsune Miku theme. 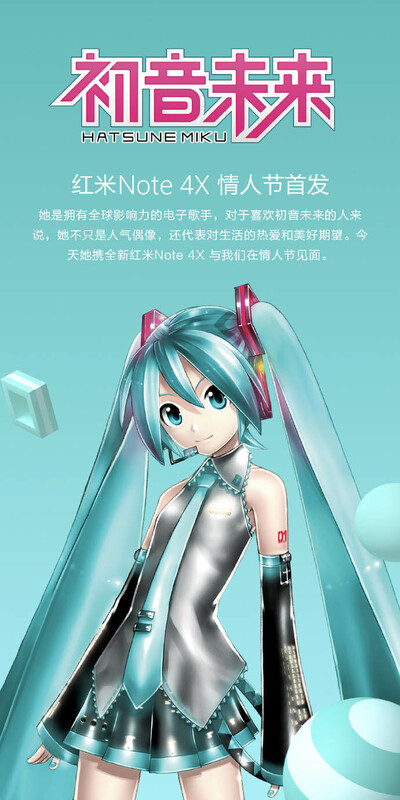 The back of the phone in the promo images is engraved with “初音未来” and “No.831” as references to Hatsune Miku in Chinese and her birthday on August 31st. 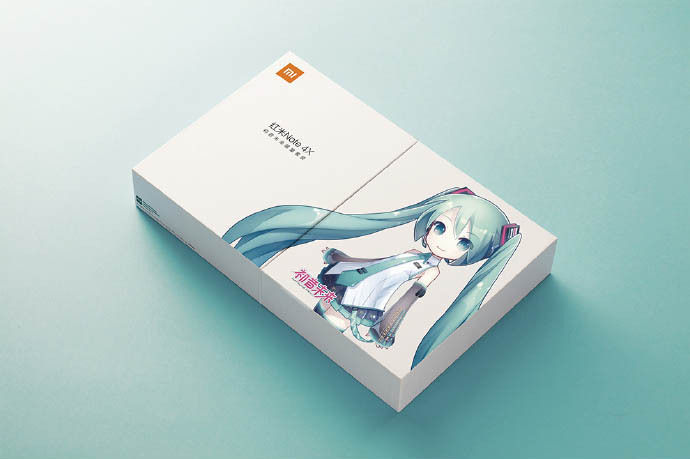 The limited edition package features a neat white design decorated with an original illustration by iXima, the official illustrator behind Hatsune Miku V3 and V4X. Accessories inside the package are a portable battery pack and a case, with both featuring the same original illustration by iXima on the box cover. Xiaomi Redmi Note 4X is a 5.5-inch Full HD display device packed with a huge 4100 mAh battery. It also offers better-sustained performance on a 14nm FinFET Snapdragon 625 processor which is 20% more power efficient than Redmi Note 3, and is bound to put more power in your pocket. Redmi Note 4X has a 13MP CMOS camera and there are 5 colors to choose from: Green, Gold, Grey, Pink and Black. As of now, we cannot confirm whether the phone will have international firmware or not. This will affect the ability to access Google Play Store. We don’t expect the phones to be available outside Xiaomi’s markets, however, international purchases with the assistance from importers is also an option. 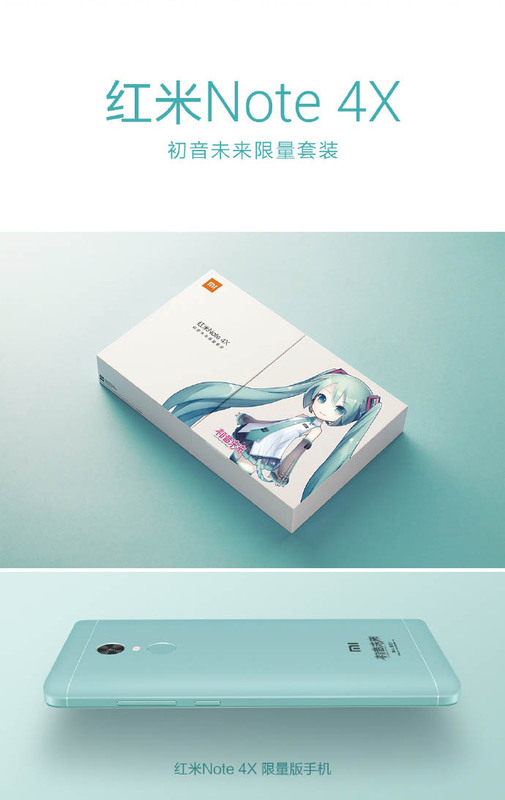 The Xiaomi Redmi Note 4X Hatsune Miku limited edition will go on sale on Valentine’s Day at 1299 RMB (188.70 USD). Regular edition (phone only) will be priced at 999 RMB (145.12 USD). In the mean time, check out the minigame on the official site featuring Ievan Polkka! Below is a gallery and official CM starring Hatsune Miku. UPDATE: Specs and prices have been added.